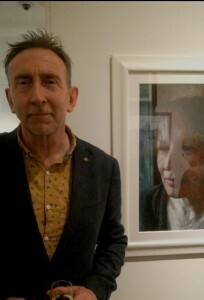 loved your piece at the RSA AND the price. Would you do apotrait of my wife (for Xmas) ? I received your message concerning a possible portrait of your wife for Christmas. I have a few projects over the next few months, but I can fit this in November if you are interested. Perhaps we could meet up for a chat, discuss requirements and costs and timings for sitting time/photography etc. Thanks for your comments and for getting in touch via my website.